In sepsis diagnosis, every minute counts! Clinicians are working against the clock when treating sepsis. Our goal is to transform sepsis diagnostics by providing clinicians with the technology to rapidly enable and confidently make the right treatment decisions. 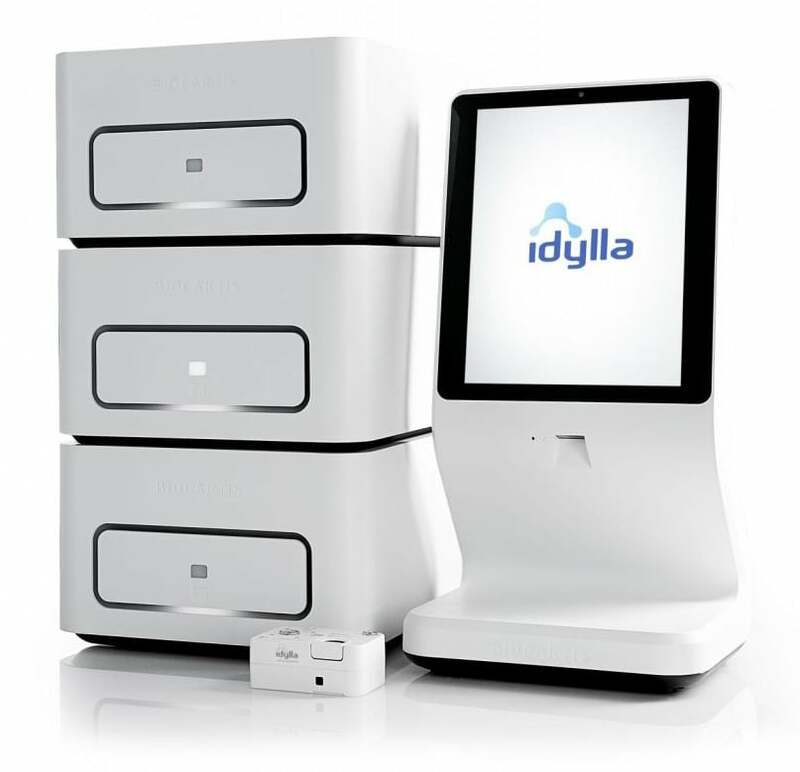 In January 2018, we announced a partnership with Biocartis to develop and commercialize a fully automated SeptiCyte™ LAB test for use on the Biocartis’ sample-to-answer real-time PCR Idylla™ platform. Revolutionize sepsis detection. Fast. Easy. Reliable. molecular information in virtually any lab setting. 2 minutes handling time. Less than 90 minutes for results. The combination of Immunexpress’ SeptiCyte™ technology with Biocartis’ Idylla™ platform empowers physicians to swiftly differentiate sepsis from SIRS in critically ill patients. SeptiCyte™ technology uses proprietary biomarker signatures to assess the response of a patient’s immune system to infections to provide clinically meaningful data for optimized treatment. 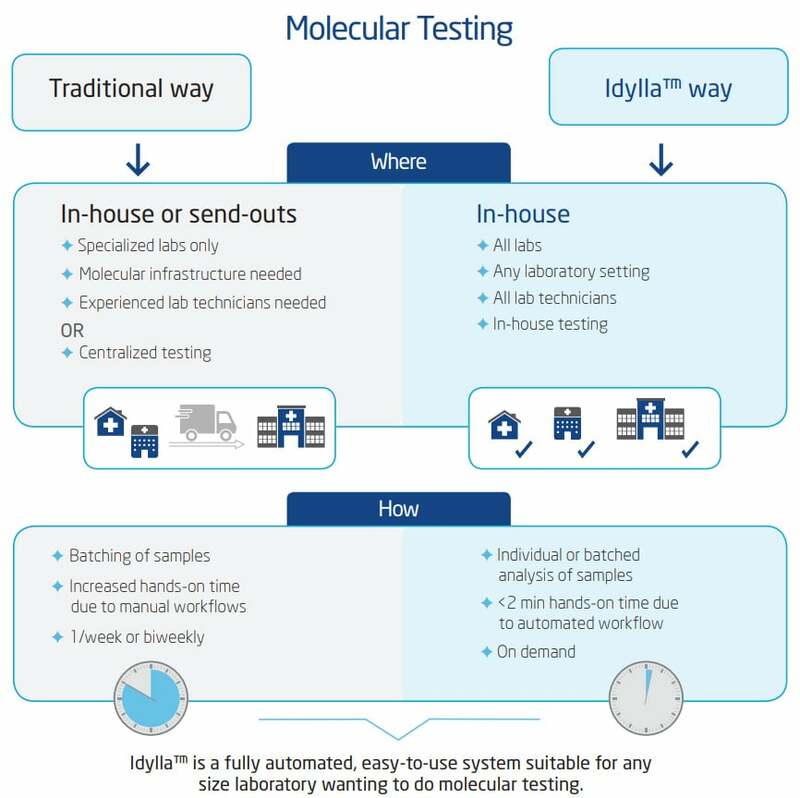 By leveraging the rapid turn-around time of the Idylla™ platform, outcomes are improved and costs reduced. required in the management of sepsis patients. Kumar, Anand, et al. “Duration of hypotension before initiation of effective antimicrobial therapy is the critical determinant of survival in human septic shock.” Critical care medicine 34.6 (2006): 1589-1596. Paoli, Carly J., et al. “Epidemiology and Costs of Sepsis in the United States-An Analysis Based on Timing of Diagnosis and Severity Level.” Critical care medicine (2018).